I love movement, and I want to share the joy and physical benefits that I find through exercise and yoga with you. Having been in some form of athletic training for most of my life, I’ve always loved the joy and sense of play that can be found through physicality. I grew up in Missoula, Montana, where I was a three-time all-state soccer player and a Tai Kwan Do state champion in my division. After moving to the Pacific Northwest in the late ’90s, I took my first yoga class in 2001 and over the years it has become a vital part of my life. I found and continue to find it nourishing both physically and spiritually. 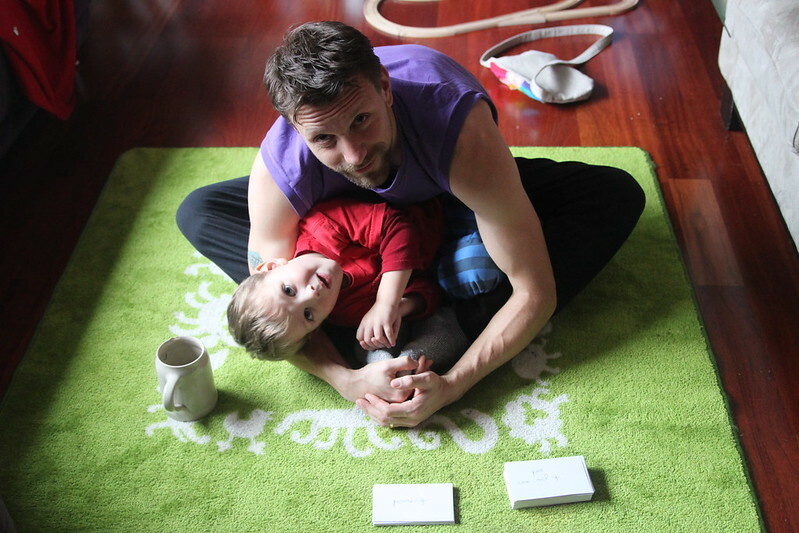 In 2008 I decided that I wanted to start teaching, and enrolled in the teacher training program at Seattle’s 8 Limbs Yoga Studio, which was fantastic. The teachers there are wonderful and I love the community I found through the program. After seeing a Cirque du Soleil show, I absolutely fell in love with the circus arts and am now completely hooked. For the last several years, I have trained and taught classes at SANCA in Seattle’s Georgetown neighborhood. I have studied aerials, acrobatics, and tumbling among other things and currently specialize in handbalancing. I also studied for and received my personal training certification from the National Strength and Conditioning Association in 2008. You can help support me by writing a review on Yelp, Yogablaze, and TeachStreet.